How to defeat stress, worry, and anxiety to achieve more in business and life. From the international bestselling author of Self-Confidence. Do you seem to worry more than most? Do you find that insignificant things stress you out? Do you sweat the small stuff and the big stuff too? Well, now’s the time to stop worrying and start living. But relax. There is a way forward. 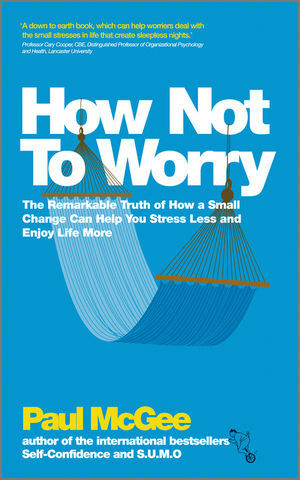 In How Not to Worry Paul McGee shows us that there is a way to tackle life’s challenges in a calmer and more considered way. It is possible to use a certain degree of worry and anxiety to spur us on towards positive, constructive action, and then leave the rest behind. With down to earth, real life advice, How Not to Worry helps us understand why worrying is such a big deal and the reasons for it, exposing the behavioural traps we fall into when faced with challenges. It then helps us to move on with tools and ideas to deal with our worries in a more constructive way. Paul McGee is one of Europe's leading self-help authors and motivational speakers and coaches. He has spoken in 31 countries to date and is the author of several books, including the bestselling Self-Confidence and S.U.M.O. (Shut Up, Move On). His simple yet profound messages have spread across the globe both in public and private sector organisations. Building on his academic background in behavioural and social psychology, Paul is also a trained counsellor and a performance coach. His aim is simple—"I want to help people achieve better results in life and have more fun in the process."